Tanner has been a into oragami for a while now and he just discovered that he could make some money from it. He made a bunch of these "Fingers" and sold them to kids in his class. He made $3 from one boy and $5 from another! Pretty good money for a fourth grader! He made one mistake though... he tought his biggest client how to make them... ooops! Oh well, it keeps him busy and he's not watching TV! It amazes me that he remembers how to make all these different things! My Grandma Verhaaren would be proud, she loved showing us how to make little creatures, hats and boats! Check out this "smilebox" I made of Ashley's pictures from homecoming. Tanner has 2 desert tortoises that live in our back yard. We moved them outside this summer and made a nice little section of the yard for them. We made sure there were plenty of plants for shade and made a little covered area for them. They love it much more than the aquarium that they came in. But the big one named Spike is ALWAYS trying to escape. I need to add one more row of bricks to their wall. He shouldn't be able to get out, but somehow he does. If he doesn't make it over the wall, he falls backwards onto his back and gets stuck. I found him on his back 2 times yesterday! He could die like that, you would think he would stop trying!!! I found him by the lawnmower yesterday and over by the pool filters today! He walked all the way across the yard right along the pool! He must know he can't swim. HE tries all day to get out...the little one is just happy to be out of the cage and he just wanders around. They are right outside my kitchen window and I love watching them while I do the dishes. The kids think I am crazy because I talk to them and to the hummingbirds. I have actually named my birds and I LOVE them. They are so cute and fun to watch. I love my little animals! They keep me company during the day! It's been a fun, crazy weekend! Ashley worked manny hours on the Junior float for the football game and it turned out awesome, but my pictures of it didn't! Hopefully Ashley got some good ones. I will post them when she gets time to download them. She was also in charge of getting a couple people to drive convertibles to carry the royalty during the parade and one of her drivers couldn't make it at the last minute and he felt so bad that he told Ashley that she could drive the car for him! He was very brave (thanks kevin!). She got it to the school and drove around the track and got it safely home! We were very relieved. John and I had a 50's party to go to for John's printer company that they use. So, we went to the school and checked out the floats and then headed to our party. It wasn't that exciting, so we left after a little while and headed to Luv It's for custard and met up with Scott and Jenn and my cousin Geoff McAllister and his new wife Rachel. They came down from Provo to go to the BYU vs. UNLV football game. Geoff takes pictures for the Daily Universe. Then the boys came and we took some pictures and then we headed over to one of the kids house and there were about 20 couples there and we took lots of pictures. Then they broke into their groups and left. Ashley just got home and she had a wonderful time!! I will give details on the date tomorrow and post more pictures. After she left for the dance we headed to the BYU game. It was fun to see them win. It was a nightmare getting out of the parking lot!! I wish tomorrow was going to be a day of rest, but I have an early morning Stake council meeting and then another meeting right after church and then a PPI with the stake president....I don't think I will get my nap....not sure how all the men leaders do it with all the meeting they have each week! I have been away for a week because I was deep into a book. 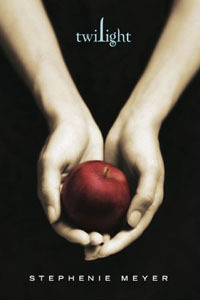 Actually, one book led to the sequel (New Moon), so 2 books. Sharolyn was talking about how wonderful "Twilight" was when I was in Utah this summer, so I bought while I was there and finally picked it up a couple of weeks ago and was reading it to Tanner at bed time and that was going to slow, so I read on my own last week and couldn't put it down. So needless to say, my children, husband, house and calling have been deprived for the last week and a half. I won't let myself buy the 3rd one till my life is caught up...but really, do you ever get caught up?? Maybe when laundry is caught up! : ) If you have a few days to kill, pick this one up. I haven't let myself get into a good book for a while, it was a nice change. But I have a lot of guilt now! I have a big Stake Leadership training tomorrow night that I am not prepared for...so why am I blogging?? Because, I am a good procrastinator. I still have a hard time believing that I have the calling I do, and wonder why I am in charge and not someone else. I must say that my counselors are amazing ladies and support me so much. I love them! The Lord knew what he was doing when I was praying for good counselors, we are all so different and bring a different perspective to the presidency and we all work so well together because of our differences. Well, I better work on what I am going to say at the training meeting!